There's no getting around it: intelligence is attractive. Being in the know on a specific topic is a sure way to draw a crowd. This is especially true when this expertise helps women connect and engage with cultural event content. As part of the POPSUGAR Insights Content, Commerce, and Culture study, we surveyed over 1,500 women between the ages of 18-44 and asked them to tell us who they consider to be the most influential source related to cultural events. 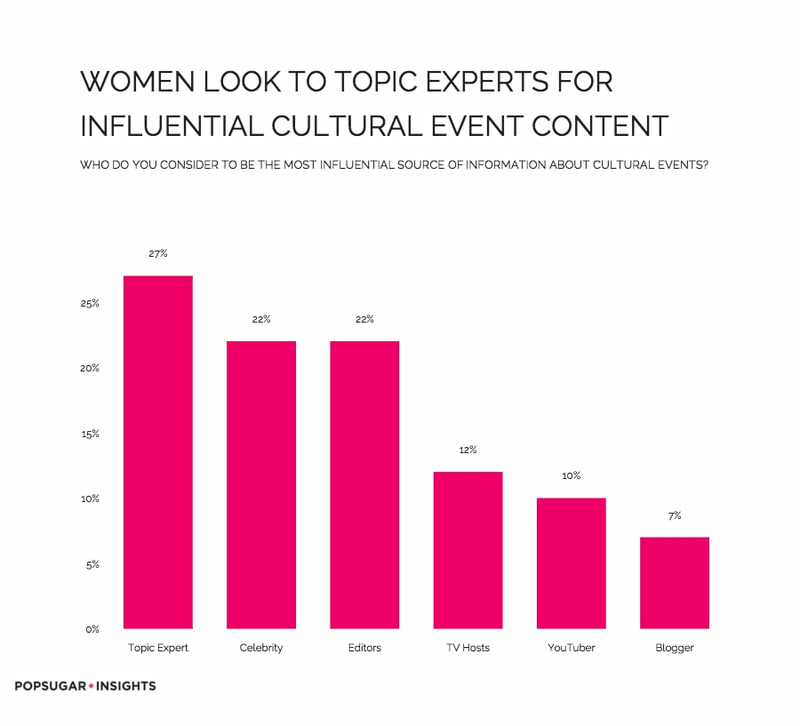 When it comes to delivering relevant information on cultural events, women look to topic area experts (27%) to provide an authoritative and influential perspective on the events. After topic experts, women enjoy seeking out information from celebrities (22%) and editors (22%). It's interesting that women view TV hosts (12%) and YouTubers (10%) as being nearly equally influential at delivering relevant information about cultural events.